OK, so there are parts of The Witcher 3 where it’s already snowing, but this mod brings snow to almost the entire map. Merry Christmas, you drifters in from Temeria. 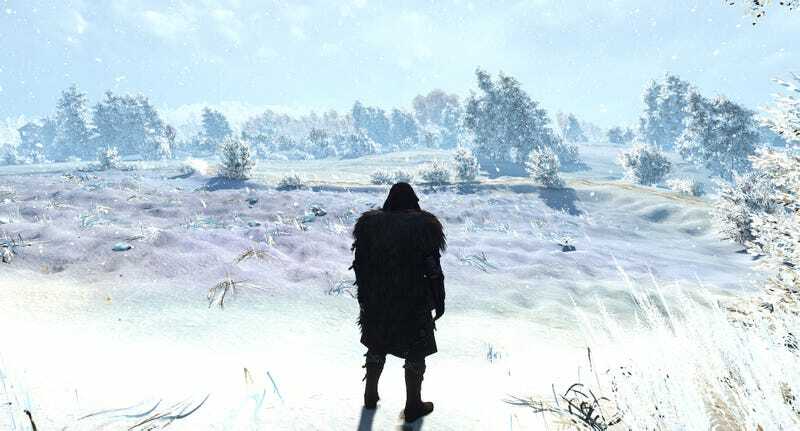 The mod, called Winter is Coming, was made by KNG, and you can download it here. It’s not perfect, since the mod couldn’t go in and add snow to every texture in the game (so buildings won’t have snow on their roofs, etc), but the effect is still pretty cool. I might install it for a fresh look in a new game plus plus.